Skiing and other recreational sports in high altitudes bring increased risk of heart attack. And because of the low temperatures, altitude and lack of air conditioning after intense physical exertion. If you are an avid skiers and winter athletes, then you should think about where you're going skiing, and if you have high blood pressure or other heart problems. Risk is highest during the first two days of leave, said the research team of cardiologists from medical University of Innsbruck, Austria. The research focused on the exploration of tourists who come to the Tyrolean Alps. Accidents, injuries, and much more heart attacks! Each year visit the Tyrolean Alps millions of tourists who participate in various winter sports - skiing frequently. Each winter activities carries a risk of accident or injury. It is stated in the press release of the European Society of Cardiology. Interesting, however, is that a whopping 40% of the total number of deaths in the Austrian Alps represents a sudden heart failure. 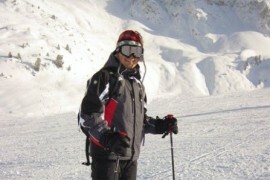 The study analyzed data from 170 patients during the winter sports have suffered a heart attack. Up to 56% of patients had a heart attack within the first two days, at a time when an intense physical activity. Yet only 19% had been diagnosed with heart disease. According to experts, this is because more than half of all people before the winter holidays minimal physical activity, at least according to the recommendations of the European Society of Cardiology. The researchers also found that about 70% of patients had at least two risk factors for coronary heart disease and those who were smoking, diabetes or high cholesterol levels. From the above it follows that people who are planning a winter holiday associated with winter sports should be on increased physical activity to prepare in advance, and regular exercise.